The Insider, the 13-year-old spinoff of Entertainment Tonight, will end its run in September. The Hollywood Reporter says staffers were made aware of the cancellation at a meeting this morning. 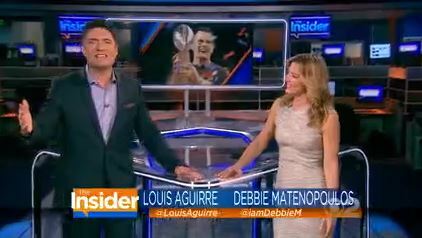 The show is co-hosted by former The View co-host Debbie Matenopoulos and Louis Aguirre, who hosted Deco Drive on Miami’s WSVN before joining The Insider in 2014. The show is owned and distributed by CBS Television Distribution and is paired with Entertainment Tonight on many CBS stations during the prime access period of 7-8 p.m. 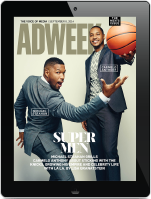 However, in some of the largest markets, The Insider airs at odd times, including Chicago (1 a.m.), Boston (12:30 a.m.), Minneapolis (3:30 a.m.) and Washington, D.C. (3 p.m). Former CBS News ep Sharon Hoffman moved to the ep role at both ET and The Insider in November. The decision to pull the plug was based on low ratings, a glut of entertainment newsmagazines, a decrease in carriage fees, and a tough ad market. Many local affiliates may take back the time for locally-produced news, or re-air other syndicated shows. It’s not yet clear what CBS Owned stations will do. The Insider airs at 7 p.m. in New York, Los Angeles and San Francisco, and at 7:30 p.m. in Philadelphia and Miami leading into CBS’s very popular prime time.